Today’s post is all about milk churns. Yes! That’s correct! I did say milk churns. 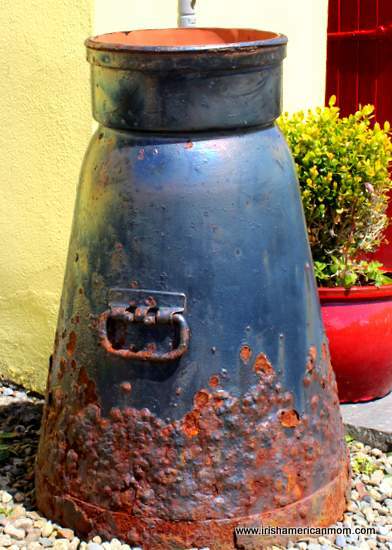 And I hope by the end of my dairy inspired ramblings you’ll agree that milk churns should be considered a symbol of Ireland. I know! I know! 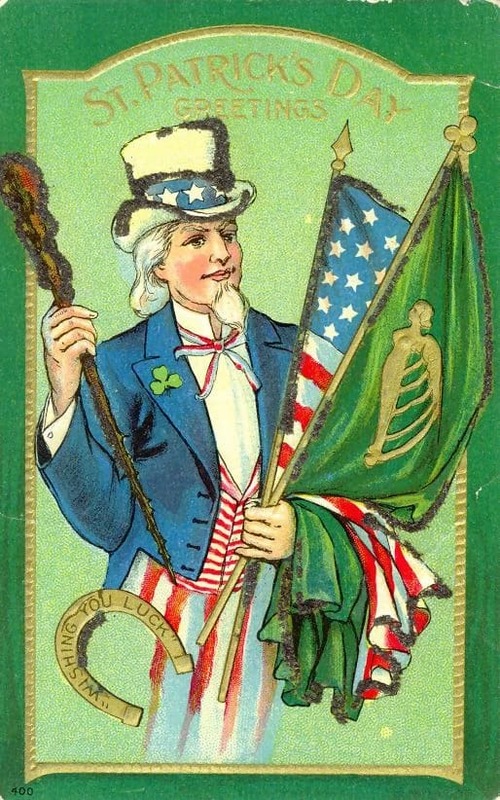 Our Irish flag, the aran sweater, the Tara brooch, and the Claddagh ring are more iconic symbols of Ireland. But for me, every time I lay eyes on a milk churn, a little quiver of nostalgia ripples through my veins. 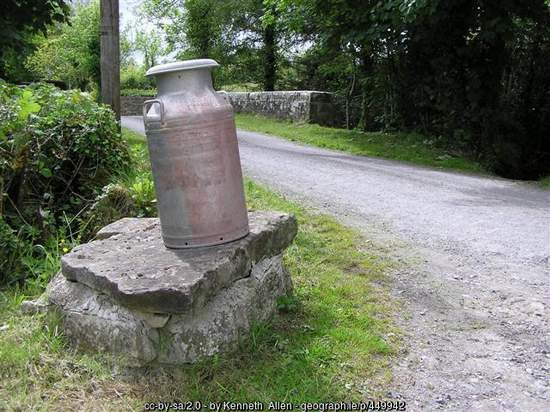 Milk churns remind me of days now long gone in Ireland. Actually, the days of milk churns are not all that long gone. 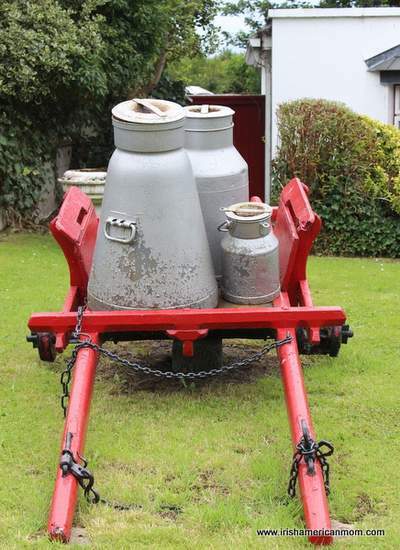 I vividly remember my childhood days in County Cork, when milk was delivered to the creamery in churns. 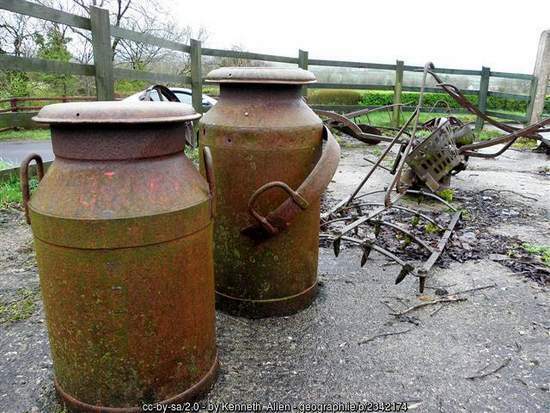 Others placed these utilitarian metal cans on specially designed milk stands to await collection at the side of the road. 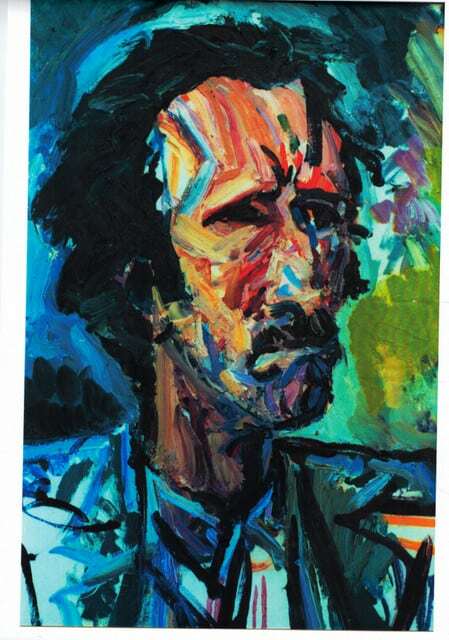 And let’s face it, I’m not over the hill yet, at half a century young. 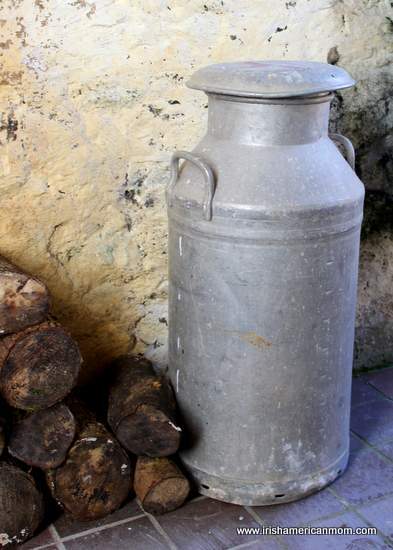 So the days of milk churns are relatively recent history. And so, why not join me today as I ramble on with a nostalgic, photographic rigmarole all about churns. I haven’t used the word ‘rigmarole’ in years, but it came to me all of a sudden as I wrote this paragraph. ‘Rigmarole’ was a favorite term in Ireland when I was a little girl. It means a “succession of confused, meaningless, or foolish statements.” I probably could use it more often to describe some of my rambling blog posts. Anyways on with my churn filled rigamarole or rigmarole, however you like to spell it. 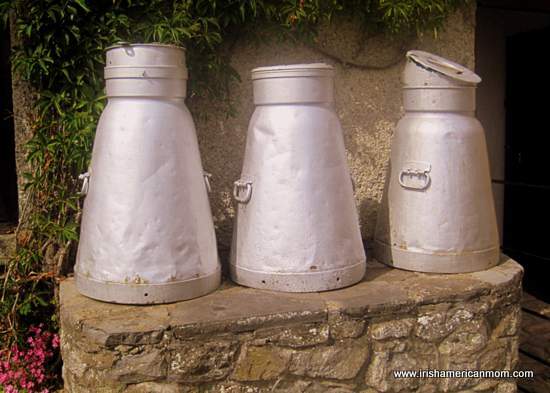 Milk Churns or Milk Cans or Creamery Cans? How exactly you name these milk collection vessels depends on the part of Ireland or the world you may hail from. In Cork we always said churn, but I have since heard the term “creamery can” on my frequent visits north to County Donegal. Milk can is the favored term in Kentucky, but whatever you may call these milk holders, they were a vital commodity for farming folks years and years ago. Buckets were used to collect milk as the cows were milked each morning and evening. When a bucket was full, its contents were tipped into the collection churn, so that the complete yield of the herd could be transported to the creamery, the place where milk was collected from local farmers. Creamery is a the term used for these dairy collection spots in Ireland, and I’ve heard this term used in America too. I believe the word ‘dairy’ is more often used in England. 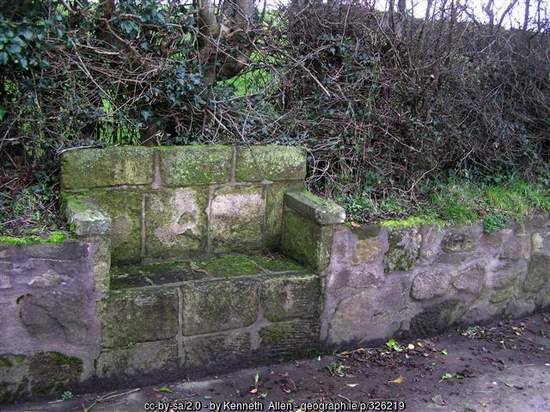 As you drive around the Irish countryside you will notice what appear to be stone seats at the most unusual roadside locations. At first glance these elevated flat surfaces seem the perfect spot for a little rest, a place to sit and hold a sweetheart’s hand, and watch the world go by. Stop your romantic day dreaming now. We’re way off base with that theory. These flat table top structures were designed and built as stands for our beloved churns. 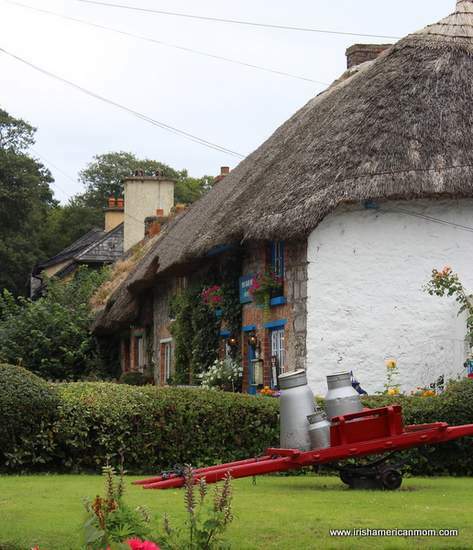 Farmers collected their milk and then transported full churns to designated collection spots. The full churns were taken away by creamery workers and empty churns placed on the stand for the farmer to pick up in his cart, and start the whole process over. And in some parts of the country wooden churn stands were called “stillions”. Have you ever looked inside a churn, inhaled and lived to tell the tale? Any reader who may have sniffed the inside of a churn will immediately know what I’m talking about. So sorry! I just couldn’t resist stirring those olfactory memories of days gone by. No matter how well scrubbed a churn may be, the inside will always smell like putrid, sour milk. It is a stench in a class all of its own. It has to be smelled not seen, to be believed. Whenever we would drive into the wafts of Irish farm scented air when I was little girl, very bad aromas were deemed to “smell like the inside of a churn.” Anyone who has driven through the Irish countryside in summer will be familiar with the nose tingling scents of Ireland I am referring to. A few months back we explored how Ireland’s roads boast some magnificent works of art. We’re very proud of our Irish roadside art. 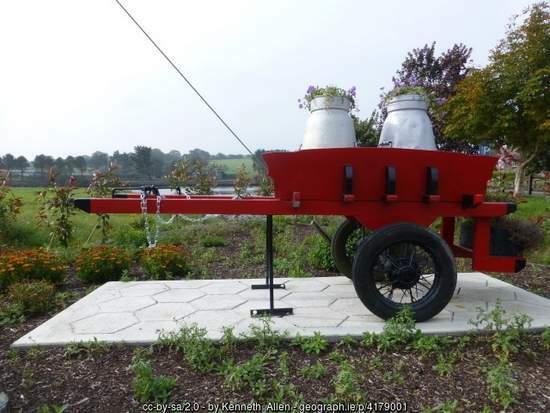 And as a nation that holds old milk churns dear, what better tribute could there be to our rural ancestors than to display their churns in places of honor all over the countryside. The lovely flower display above can be found near Clonakilty, County Cork. I just love it. Many a time my West Cork granny thumbed a lift from town only to arrive home sitting on the back of a cart amongst the churns. Good, good memories of a happy childhood. Perhaps that’s why churns remind me of Ireland. Anyway, I hope you enjoyed this little ramble down memory lane, and that you love churns as much as I do. 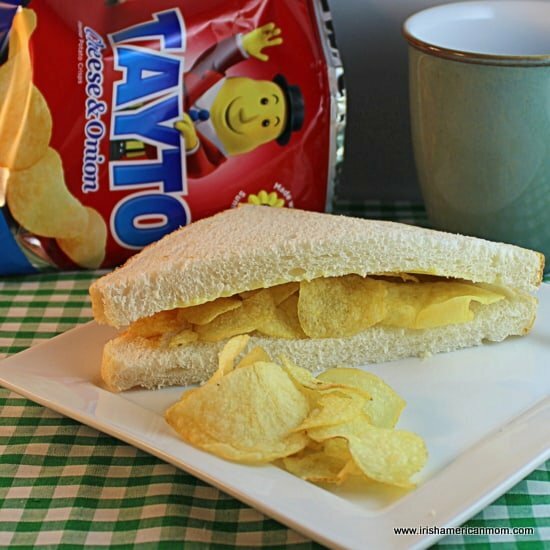 Perhaps I’m getting a bit carried away with myself calling them emblems of Ireland, but for me they are beloved symbols of a simpler way of Irish life. 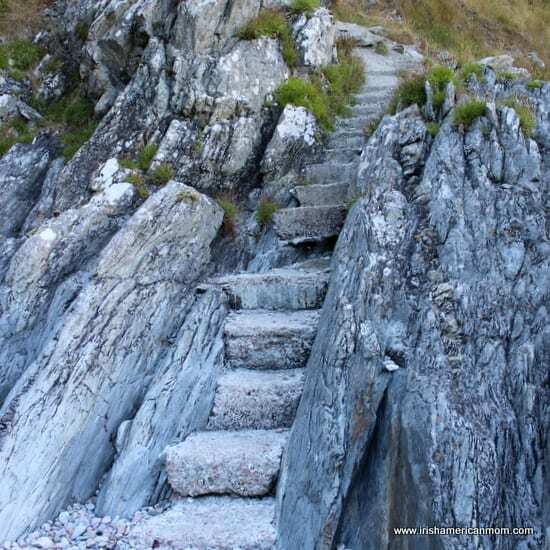 The first time I went to Ireland, I saw the churns and took a photo of them. Now that you mention it, they were up off the road on a stand! I fell in love with them because to me they were so Irish. I wanted one! P.S. A couple of years later when we still lived in NY, someone had one out at the curb with the trash! Into my car it went! (Some of my favorite possessions have come from the curbside boutique!) I painted it with some aluminum paint and it has been by the front door of every house we have lived in since. It has been as far south as North Carolina. I was just the other day thinking it needs a fresh coat of paint, and your post will guarantee it will happen. I get many compliments on it too, by the way! 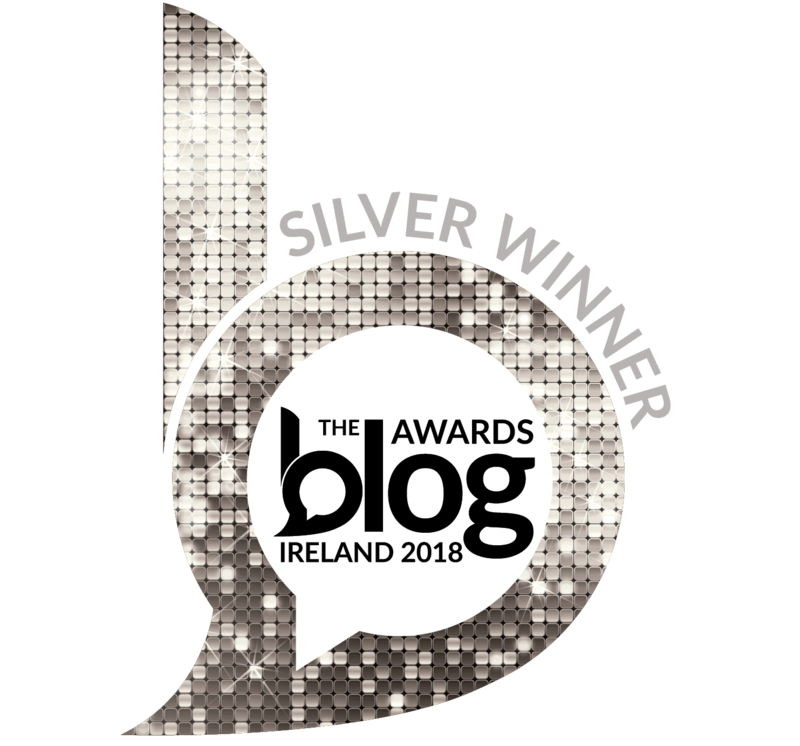 Thanks for another great post, Mairead! Hi Patricia – Lovely to hear you love churns just like I do, and that they remind you of Ireland too. What a lucky find on the side of the road. That curbside boutique can be amazing in America. I remember, when I first moved to America, an elderly gentleman donated an old couch to my friend and me for our new apartment. It was very heavy, so we left it on the street to go upstairs to put the kettle on for a cup of tea. By the time we came down again, our couch had disappeared. We quickly learned about America’s curbside shopping. First rule of the curbside boutique: if you see it, and you want it, get it now because it won’t be there later! I used to want to wait to go back under cover of darkness. Nope, those days are over, I have no pride! See it, stop the car, throw it in, and drive away! The only way – America’s curbside boutique could be a subject for a whole new blog post. Thanks for the inspiration. You’ve tickled my nose in the best way. “Milk cans” were a small piece of my childhood since my cousin did live on a working farm. They were a big part of my first job which was washing the cans in a “dairy” before they went back out. That was eight hours of an endless pile of Yuck. 90% had at least been rinsed; but even then, if the lid was replaced, the smell made for weak knees. Ours were all straight sided like the one shown with the cow. I like the slanted ones though. Did they have a special function? Shaped more like our “churns” for churning cream into butter. Maybe the Irish churns served both duties. Hi Gene – I thought my first job washing dishes was a tough one, but washing churns is in a completely different league of “dirty jobs” that somebody has to do. You brought a smile to my face when you described how the smell made your knees weak if you had to lift a churn lid. I vividly remember that stink. I don’t know the exact answer to your question about churn shapes, but I’ll give you my Geary theory on the matter. I would guess the wider bottom on the slanted churns made them more stable for transportation on the back of a horse cart. I believe butter was churned in different contraptions. Some were large wooden barrels with a plunger attached to a stick. The butter was churned by lifting the stick up and down. Other butter makers were table top barrels with a rotary paddle inside. The butter was made by turning the side handle to move the paddle. I think a blog post on butter churning would be a good topic. Thanks for the inspiration. And thanks so much for stopping by to add to our dairy inspired discussion of churns. I’m sure you’re right about the stability. Ours were all loaded on a truck and the straight sides made for more efficient use of space. Glad they didn’t think of square ones. Sure didn’t need corners when washing. Round ones made for easier rolling. As always, a lovely view of old traditions. Thank you. Hi Christi – I’m so glad you enjoyed this churning post. It amazes me how my kids have no comprehension of these old traditions. Maybe in years to come they’ll read my ramblings and understand how my childhood experiences gave me a little glimpse of the past. 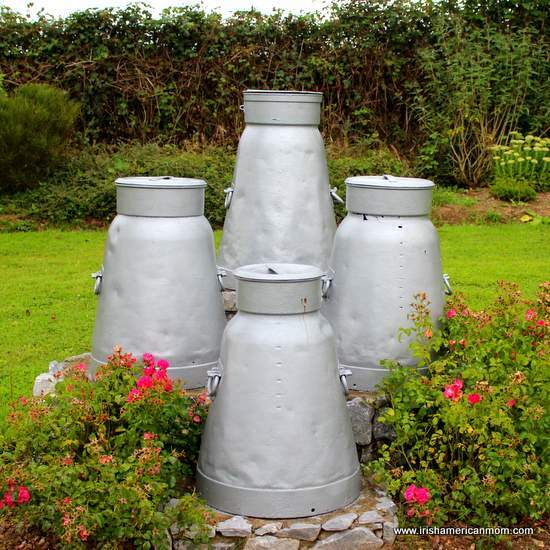 Mairéad, I love the photo showing the milk churns used as flower planters. What a great idea! Hi Cheryl – Creative planters always catch my eye. It’s lovely to see mundane every day items used so artistically. Some Penna. Amish still use the milk cans. The term churn was only used referring to making butter. Thanks , always nice to walk down nostalgia lane. 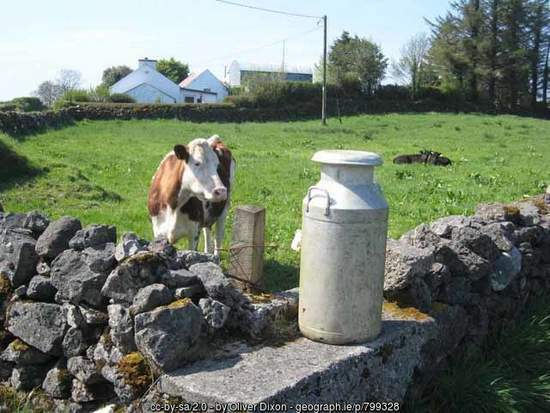 Hi Bat – Thanks for checking out this post about milk cans or churns as we say in Ireland, and joining me on this nostalgic trip down memory lane. Thank you Mairead for the lovely memories. I remember them well, my Mother used to call the thankards 🙂 Now I see them ocassionally painted different colours with flowers growing out of them. Have a good day, Mairead. Hi Maureen – The “thankards” was such a great name for churns. My granny loved to collect the cream from the top of the milk in the churn to add to her baking. No wonder her bread turned out so well. seem not to. Our family was also the only one that casually cussed as I grew up, but as a kid you can dismiss many things easily. You cause me to reflect and wonder when I read your posts, about the things that last from one generation to the next, and where did that something come from? Something as simple as a word or a phrase or a food…. It turns out our ancestors live on in more ways than one. You are helping me see that. Hi Penny – So many words, so many phrases, and so many cultural nuances traversed the Atlantic with our ancestors. So glad my use of the word ‘rigmarole’ brought a smile to your face, as you remembered your family’s fondness for this word. I always laugh when I use a word from my childhood, which my children have never heard before. I’m now getting lots of eye rolling, as they contemplate their Irish mom’s choice of words. Have a lovely weekend and thanks for stopping by. You sure know how to “churn” up the memories! HA! Wonderful post, I can’t remember the last time I used the word “rigamarole” but I know I heard that as a child and used it myself! Hi Kay – It’s nice to learn the good old word “rigmarole” was used on both sides of the Atlantic. I hope Spring has sprung in Georgia. Well said, Brian. 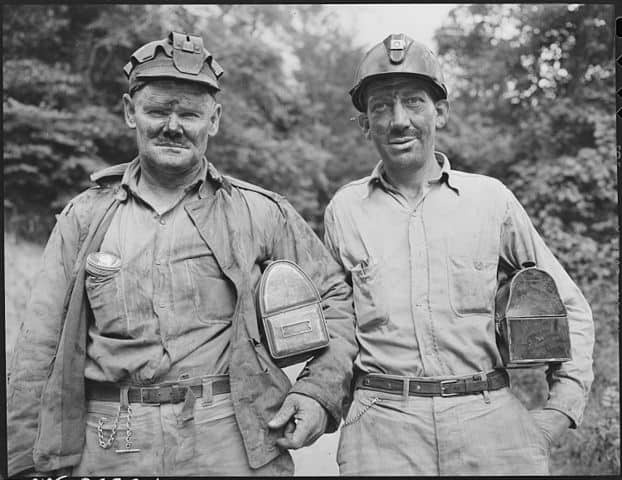 “Hard roads, hard work and hard smells” – I like that. And my hopes for a very pleasant Mothers Sunday to you. Hi Rahul – It’s amazing how a milk can stirs memories of Ireland and India. They belong to days gone by, but I remember them fondly. Those morning wake up calls always came too early for me too when I was a school girl. I remember them well spending summers in Ireland as a child in Galway. I would help my uncle milk the cows. He used to put a cheesecloth on top before putting the milk in the churn and off to the roadside it went. Happy memories. Thanks. Hi Kathleen – I’m so glad this post about churns brought back such happy memories for you. I often helped my granny in Cork milk the cows as she chatted away. I have lovely childhood memories of Cork. I have just been contemplating my grandmother’s churn… needs a bit of work the metal has turned… another rainy day project. Hi Jennifer – I hope you turn your grandmother’s churn into a work of art, something to be treasured for generations to come.